Using this application customers can check the prices of goods against the price stored in a look-up file at the head office. Simple and an inexpensive complete kit improves efficiency and provide better customer shopping experience. 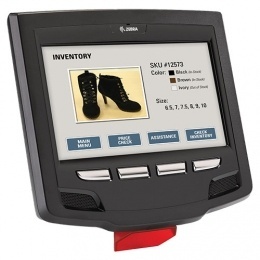 This package includes Zebra MK3000 or MK4000 series fixed-mount Laser Terminal.